The title image of this post is an artists’ rendition of Philippe Petit’s 1974 high-wire walk between the previous Twin Towers of New York’s World Trade Center. Petit wrote a book: “To Reach the Clouds”, which was later release in paperback under the title “Man on Wire”. The relevance of this image to this post cannot be understated. Petit’s unrivaled feat of balance and stability is an undisputed display that stability comes from control of movement, not the prevention of it. Philippe Petit would never have achieved his walk between the towers if he had been rigid. Faced with upwinds, crosswinds and a moving wire he had to use a dynamic approach to balance. He was so well poised that he was even able to lie down on the wire at the half way point. To watch his amazing achievement, and the beautiful dance on the wire you can watch it on the 2008 film Man on Wire. Paul Hodges is a Professor at the University of Queensland with over 520 research items listed on Researchgate. He is well respected with over twenty-three thousand citations. His main area of focus is listed as “Neuromotor control of movement and stability, and changes in this system with pain”. Physiology and pathophysiology of movement control mechanisms. Integration of neuroscience and biomechanics to investigate the nervous system control of joint stability and movement. Effect of conflicting task demands control on spinal control. Biomechanical effect of contraction of the intrinsic spinal muscles on stability of the spine. The effect of pain on motor control and possible mechanisms. Mechanism of efficacy of therapeutic exercise. Reality 1: It is about dynamic control. Different tasks place different demands on the body. Some movements require more stiffness/bracing while others require more fluidity. The dynamic control for weight lifting for example is different to the dynamic control of running. Weight lifting may require more stiffness, while the same level of stiffness applied to running would be detrimental to performance, and may lead to injury. Dynamic control is therefore the control of movement relative to task, rather than the prevention of it. Too many pseudo-core routines are designed around rigidity, stiffness and the prevention of movement. A plank is a prime example. Thousands, if not millions, of planks are performed annually with the belief that they are core-centric. However, a plank is not a core stability exercise, it is a pain tolerance exercise. Planks are terminated after a set time limit or due to pain in the shoulders/lower back. They are not terminated due to core fatigue or loss of stability. Reality 2: The body is a complex system of neuro-muscular-skeletal interactions. There is more to the body than just one muscle or a select group of muscles. A number of paradigms promote the training / re-training of the Transversus Abdominus, which has been shown to be an important muscle for stability of the torso. It is hypothesised that the Transversus Abdominus achieves this by increasing its thickness and consequently the intra-abdominal pressure. However, it is one muscle. It is a local stabiliser, that is believed to fatigue quickly, and does not produce movement. It is therefore part of the puzzle, not the only piece. Countless patient hours are devoted to this muscle (along with Multifidus) using motor control exercises (precise movements aimed at “isolating” the muscles) at the expense of general exercise (cardio / weights / flexibility). Reality 3: There is no one size fits all. No two patients are the same. Some back cases may have similar signs and symptoms but the human being experiencing the back pain is unique and needs to have a unique case management. Too often the approach is a one size fits all. In a best case scenario a patient should be given a bespoke exercise programme tailor made to their individual injury needs, goals and lifestyle. We have a problem in the rehabilitation/fitness industry: an obsession with the term “core”. The word core is reductionist in itself. It should be core + stability = core stability. In actual fact it is the stability component that should get the emphasis, not just the core. Stability of the body is not derived from one particular system or isolated area of the anatomy. Nothing in the human body works in isolation. It is a “symphony” of Newtons 3rd law: action and reaction. Medical professionals, trainers and the media have created a nervous condition involving a misinformed belief system that there is a catastrophic lack of spinal stability, and the only remedy is to “fix” the “core”. This paranoia can be conceptualised as a Corexia-nervousa or Core-dysmorphic-disorder . Even though most patients have limited concept of what the core is anatomically, they know that they have to have one. It is like a magical unicorn, or pot of gold at the end of a rainbow. We have created a generation of patients that believe that the centre of their back pain problem is due only to the lack of “core”. Their misconstrued philosophy is that the more core they do the better they will be. Unfortunately, there is never enough core in their minds. And if you do not give them core, the patient believes that their back will be left vulnerable. The tragedy of this scenario is that the seed of this misinformation is often planted by a medical professional. The spine is hugely resilient. It is not a dry twig waiting to snap at a moment’s notice. Evidence against the “Corexia” / lack-of-core paradigm exists, but patients and practitioners choose to ignore it. If you listen to Dr Fiona Wilson on the following soundcloud interview (Treating low back pain in sport: Dr Fiona Wilson. ) you will hear how some patient population groups have a direct correlation between amount of time spent on core, and back pain. What on earth does that mean? : it means that the more core training that this particular patient group performed the more likely they were to experience back pain. This can be attributed to both volume but also the type of exercise included in a core routine. Clearly we are getting it wrong! Lack of “core” is not the problem. If you are shoved into a generic Pilates class or force-fed the same tired dogma of “core” it is time for a change. It is important to read wider than just the echo chamber of core and Pilates posts in your local magazine or Facebook feed. If you need bespoke exercise advice, seek out a Biokineticist / Physiotherapist with special interest in low back rehabilitation, but do not settle for mediocrity. Science has evolved and the Biokineticist / Physiotherapist that claims to be current and up to date with best practice needs to give you way more than just core. Like Phillipe Petit on his wire, you need a dynamic approach to your movement. If you are injured and want to use exercise as a modality it is important that you realise that the exercise does not treat pain directly. Exercise may alleviate discomfort and improve functional ability. But it does not “treat” the pain. Likewise, when you seek the advice of a Biokineticist or exercise specialist they should not have the goal of trying to “treat” your pain. They need to treat you. The patient. Not the pain. In the process of the exercise journey the pain may diminish. This is more often than not (depending on the condition) due to the exercises addressing the causative factors rather than just the symptoms/consequences of your particular injury. Often practitioners and patients alike get stuck “looking down the microscope”. They are so focused on pain that they miss the factors that contribute to the pain. Pain viewed from a “catastrophic model” perspective puts pain in the centre of attention. Something is wrong. There is a crisis, and the symptoms of that crisis need to be addressed immediately. And at a localised level. But you and your injury are more than just pain. Pain is complicated. It is multi-factorial. There are physical factors, biological factors, social factors, psychological factors, and even environmental/lifestyle factors. For this reason the treatment approach should be multi-factorial. Causation rather than catastrophe. Your treatment team needs to keep this in mind and work as a unit rather than as individuals. Each team member has a role to play in the management of your injury. Doctors / Physiotherapists / Biokineticists / Osteopaths / Chiropractors need to work in unison to meet your treatment goals. Voltaire was a philosopher in the 1700’s. He apparently wrote the following phrase: “Doctors/Physicians are like wizards/magicians, they enact trickery while the body effects the cure”. Given the right environment, and treatment approach, your body does the healing work. The therapists that you work with are privileged enough to be along for the ride. They may be highly educated/skilled, but your recovery is your responsibility and your achievement. If you are injured and think that you could benefit from seeing a Biokineticist, speak to your Specialist / Doctor / Physiotherapist / Osteopath / Chiropractor, to see if you are a suitable candidate for Biokinetics exercise rehabilitation. Otherwise feel free to visit your local Biokineticist. If your injury is too acute, or in need of more physical therapy the Biokineticist will refer you to a Specialist / Doctor / Physiotherapist / Osteopath / Chiropractor for appropriate management and care. There is often confusion about the role of a Biokineticist. Ask any Biokineticist, it is their biggest frustration. People don’t know who they are, or what they do. Granted, there are a lot of similarities to Physiotherapy and personal training, the two disciplines that are most frequently referred to when you mention Biokinetics. But they are not Physiotherapists, nor are they personal trainers. But they do fill the void between the two. The reality is that you can actually be seen by all three, at the same time (no, not the same consultation, but the same time period). Conjunctive care is possible provided that there is no distinct overlap of services. The best management of your injury/condition is a patient-centric approach, not an egocentric approach. Your needs have to be taken into account and for that to happen medical professionals and trainers need to play as a team, not as individuals. Image 1) Team play: Below is an info-graphic of a hypothetical treatment team scenario. So when can a Biokineticist help you? The answer in terms of “time” on a timeline is quite contentious, particularly with the scope of Physiotherapy (Scope: Physiotherapy) and Biokinetics (Scope: Biokinetics) being discussed at the HPCSA (Health Professions Council of South Africa). The time frame also depends on the injury/condition. Certain skills/services are not within the scope of Biokinetics and most likely never will be. As a rule of thumb the Biokineticist you see should provide you with exercises. Their primary role is exercise rehabilitation. In the scope of practice document reference is made to the role of the Biokineticist commencing when exercise is the primary modality of care. ie: when 51% of your session with a primary care giver becomes exercise you can start to consider seeing a Biokineticist. When it comes to rehabilitation you as the consumer have the power to choose who you wish to see. However, it is important to know what is in scope and what is not. If you choose to see a personal trainer for injury rehabilitation and something goes wrong their liability cover may not come into effect as they are not qualified or insured for exercise rehabilitation. The same applies to Biokinetics, if you are seeing a Biokineticist and they are treating you out of their scope you may not be covered. The branch of medicine that deals with the prevention or correction of injuries or disorders of the skeletal system and associated muscles, joints, and ligaments is called orthopaedics. You can see a Biokineticist for an orthopaedic injury, depending on the nature and severity of your injury. You may require to have clearance from a Doctor/Physio/Chiro/Osteo before commencing your exercise rehabilitation. Each injury needs to be assessed on a case by case basis. If the injury is too acute the Biokineticist must refer you on/back to a Doctor/Physio/Chiro/Osteo. In terms of a treatment timeline you can see the Biokineticist for the initial consultation and programme and then decide on weekly training based on the nature/severity of your injury, as well as your compliance to exercise rehabilitation. It may be necessary to see the Biokineticist more frequently in the early stages of rehabilitation and then slowly wean off into independence. Please note that it is not implicit that you see the Biokineticist weekly. You can visit them sporadically provided that you are compliant with your exercise rehabilitation programme. The treatment timeline for chronic diseases will be different to orthopaedic injuries. Due to the nature of the illness/disease you may require ongoing guidance. This does not imply weekly sessions and a huge financial burden. You can see a Biokineticist sporadically or join a group class. However it is important to stress that just going for the initial consultation will not be sufficient. Once off sessions are not beneficial as you will need guidance and someone to monitor your progress. Athletes who are injured, have been injured in the past, or who just need planning/guidance can see a Biokineticist. A Biokineticist can assist with a structured exercise programme and plan, no matter what level of competition or the nature of your sport. 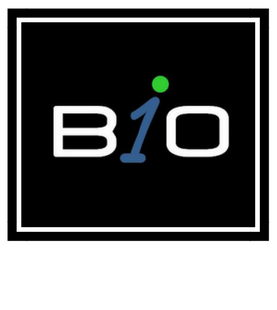 The Biokineticist can address the athletes needs with supervised sessions or comprehensive exercise programmes. The Biokineticist is not your coach and will never replace the role of your coach. They are there to mentor and guide you as part of the training team. The general gym goer can see a Biokineticist if they have not trained in a long time and need guidance to navigate the complexity of the gym environment. The Biokineticist is not stealing from personal trainers, the Biokineticist is there to work along side trainers for guidance and input. You can start with the Biokineticist and progress to the trainer once you have improved your fitness and strength. If you are a seasoned gym goer and you struggle with the occasional ache and pain you can see a Biokineticist to work on form and technique. The Biokineticist can give you input on injury advice and injury avoidance. They are more like a mentor that you touch base with when the need arises. If you have an acute injury the Biokineticist may refer you on to a Doctor/Physio/Chiro/Osteo. You can see a Biokineticist for a fitness assessment depending on your medical aid and medical aid rewards scheme. The goal of the fitness assessment is obviously to get points so that you can enjoy the rewards. However, it can be so much more. It is a window into your current health and well being, and a starting point for Biokinetics training. The Biokineticist can use the information from the assessment to assist you with your training goals. Unfortunately this is not part of the fitness assessment itself. It is a stand alone service that will require you to come for a follow up consultation (with cost implications). With so many people offering the “same” service it is hard to decide. It is best to do your homework on your individual condition and whether it responds with exercise. Sometimes ego’s get caught up in the referral process on both sides. But you as the patient have the right to choose who you would like to see. The burden of care rests with the individual therapist/trainer to know when they are out of their depth. Most people will benefit from seeing a Biokineticist, but there are some people who will need additional care before they start. The best thing to do is to ask. Reach out to your local Biokineticist/Doctor/Physio/Chiro/Osteo and see if you are a suitable candidate. The best advice is to keep well and keep exercising. Looking for a registered Biokineticist, or intern currently completing internship (2017), that wishes to work in private practice in Cape Town starting full time January 2018 (part time 2017 negotiable). Please note: this practice is not an accredited internship facility. There are no internships offered for 2017/2018. This business opportunity is for big thinkers, and forward planners, looking for a full time Biokinetics position in 2018. In the past couple of years surfing has become more and more popular. Especially with people who previously would not normally have ventured out into the water. This is partly due to the advances in surfboard design. But also thanks to the current holistic approach to health and wellness, which surfing offers. There is a wide range of surfers now from the pro-surfer to the social surfer. And they are all jockeying for a spot in the line up. Surfing itself is great fitness, as it conditions the entire body. A surf session will not only give you a cardiovascular work out, but a strength conditioning and core training session as well. It is an antidote to the modern way of life. The working adult spends far too much time sitting and stressing. Surfing offers the opposite. It promotes back extension to counteract the detrimental affects of sitting. And it is in an environment where you can switch off and relax without stressing about your worldly woes. It may take some time to master surfing if you are a complete novice, but practice and additional exercise conditioning can help. Strengthening your upper body will help with paddling strength and technique. While conditioning your lower body will improve leg strength and agility. A Biokineticist or Personal Trainer can help get you fit for surfing by designing an appropriate strength and conditioning programme. An exercise programme for surfing will normally consist of: Strengthening the back extensors, shoulders and legs; Core stability; Flexibility; and Plyometrics for pop-ups, turns and explosive airs. A Biokineticist can either design a strength and conditioning programme for your surfing or refer you to a surf conditioning coach who can. The nature of high performance surfing has changed. Elite surfers are now considered to be highly conditioned athletes rather than seasoned “beach bums”. The advent of the athletic surfer has resulted in a number of changes. There is now a lot more consideration into the planning and conditioning as a surfer. It is no longer adequate just to surf. Diet, Psychology, and Exercise conditioning all have to be factored into a carefully structured routine. A surfer’s performance can be vastly improved if a holistic approach to elite surfing is considered. A Biokineticist can offer specialist advice and high performance periodization programmes for elite surfers. Individual or group training sessions can also be arranged (in a gym or on the beach) following an initial consultation.